- What have changed since version 1.1.0 of this app ? With version 1.1.0, the app was given a major new version with export engine renewal, an extended export format and upgrades : all details are here. The app also has now two versions : a standard free version and a paid pro version with no ads and advanced functions (see here). - Is there an ad-free version of this app ? Yes, since version 1.1.0, XlContactExport Pro is available. While the standard version of XlContactImport stills contains the major functions, the Pro version doesn't contain ad banners and it offers specific advanced functions : Xlsx format support, Dropbox support, an improved work speed and various vCard formats (vCard 2.1, 3.1, 4.0 in plain text, xCard, jCard). Airpush is the ads provider I use only for the standard version of this app. Since August 2014, Airpush has now to conform to the new strict Google policy concerning the ads management in Android apps and devices ("Advertising ID" -> more on this here : http://marketingland.com/google-replacing-android-id-with-advertising-id-similar-to-apples-idfa-63636). The pop-up explains precisely how the ads work and your consent is needed to display them in the app. If you validate "Ok" in the pop-up, you authorize the ad to be displayed as usual by opting in (then, you will not be bothered again). If you tap "Cancel", you opt out and the ads will not be displayed for this session of use for the app, but the dialog box will appear again next time (I can't do nothing about it, but I suppose you can change your advertising parameters in your device to take care about that...). - I don’t understand the format of the content of the .xls file produced, or the codes used for type columns. Please read at least the table of the appendix here to understand the format of an xls exported file. And, before exporting your database, add the optional header line to have a better view of what’s stored in a column (see Options screen). That's because you use a release of the app under version 1.1.0. These features are now available beginning with version 1.1.0. - Why don’t you support for contact pictures for the moment ? I hope to include it in a future version. It would be great ! - I used the mail export option but nothing happened : I reached the final screen without seeing something ! Please make sure the email client app on your smartphone is working before using this option (ie fully parametered, and able to send a mail), and that the email address is valid, otherwise the operation will not be done (for example, if the mail app is not parametered, the window of the mail app will not open at the end of the export process). - The export progress bar stays stuck near the end (94%) ! What's happening ? This can happen only on an Android 1.6 smartphone. Please be patient at the very end of the process, as with the specific Excel XML 2003 format for the result file on Android 1.6, it can take a little time to finish, and you will see the progress bar staying near the goal (around 90-95%)... The process is not over and the app still running ! The export will finish in a few moments. Be patient. - Why do you use the default email client on the smartphone for the mail export option ? This approach is generally recommended on Android for stability. Besides, I wanted the user to be fully in control of the mail containing the exported file as an attachment, before sending it. Informations like the title, the content message, etc... can be changed. - Can you explain what the "improved speed" feature of the Pro version do ? This feature is about the main export process speed. I discovered that I could use a few tricks to speed up the process so I decided to add this bonus to the Pro version. It will be clearly visible on small or medium-sized contact databases (if you have, for example, a contact database with 150-200 contacts in it). At the contrary, on huge contact databases, the export time will not show significant differences. - Do XlContactExport export on another format than .xls ? Yes, since version 1.1.0, XlContactExport Pro offers both support for the default Excel 2007 workbook format (.xlsx) and for the classic Excel workbook format (.xls). You simply have to type for the needed extension in the file name. For Android 1.6 users, due to for technical reasons, the Excel XML 2003 export format is used exclusively. - Can you explain a little bit more what is this Excel XML 2003 thing on Android 1.6 ? Due to several technical limitations I faced testing XlContactExport on Android 1.6., I had no choice than to use a different format than .xls for the export on this platform. This operation is done automatically, and if you have an Android 1.6. device, you will simply realize that the export file has an xml extension. This format seems to behave correctly under 2003 and post-2003 Office versions, so you won’t probably have problems modifying this kind of file. If you plan to use the exported file with XlContactImport, however, you will have to change the format of the file, that’s to say save the file under the .xls format, as XlContactImport only accept .xls file as an input. If you experience this situation, it probably comes from the fact you don't have the Dropbox client installed on your Android device. For a smoother experience using the Dropbox export functions of this app, we advise you to install the Dropbox Android client app on your device, if you haven't done it already. Without it, Dropbox relies instead on a web page for authentication and, due to an imperfect design by their dev team on this web page, the browser window stays opened after authentication, so you would have to manually close it with your "back" button each time... Since this window is launched externally by the Dropbox librairies, we can't do nothing about it. - Does XlContactExport still work on Android 1.6, 2.0.x, 2.1.x, 2.2.x devices ? I just read that, with the 1.1.0 release, Android 2.3 was the lower compatible version now for the app. Yes, you can always download a compatible version for theses old devices on Google Play (contact us if a problem occurs there on this subject) and we will continue to provide support for the Android 1.6, 2.0.x, 2.1.x, 2.2.x users of the app. BTY, the app will not be ugraded anymore for Android 1.6, 2.0.x, 2.1.x, 2.2.x devices, as the Google Play Services now promoted by Google can only work with Android 2.3.x and above. To ensure the future of the app, we had no other choice than base now the developpement of the app on Android versions above 2.3.x. – Website URL fix. Several small bugs fixes (on very specific Android versions). – vCards generation added, in the same time than the Excel export file. The vCard 2.1 format is available on the free and Pro version of the app, and an extended choice of vCard formats is available on the Pro version. Also : by Google request, switch to the Advertising ID system for the Ad banners : you can now opt out for the Airpush ads when the app launchs. An Android upgrade was done in this version too. – Several small bugs fixes. – Trace mode added for specific phone errors. Several small bugs fixes (on very specific Android versions). Last upgrade available for Android 1.6, 2.0.x, 2.1.x and 2.2.x users. – Several small bugs fixes (on very specific Android versions). – Export as an file attachment of an email added ! Several small bugs fixes (on very specific Android versions). Ads rotator added. – Bug fix on the default export folder search (the fix override a bug of behaviour in a common java library used in this app -> before the fix, the app could crash after start). 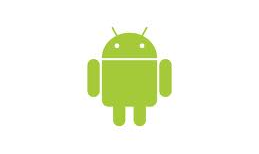 – Initial release on the Android market (now Google Play).